"Black Women United YEG is a collective of: professional, blue-collar, academic, activist, artistic and immensely proud Sisters of the Diaspora residing in Edmonton, AB. We are mothers, daughters, sisters and wives. We seek to disrupt the colonial divide-and-conquer and love on one another. We seek the healing and uplift of our families and communities. However, it's all too much and we're breaking down. We decided to wrench off the hand of silence that grips our collective throat. 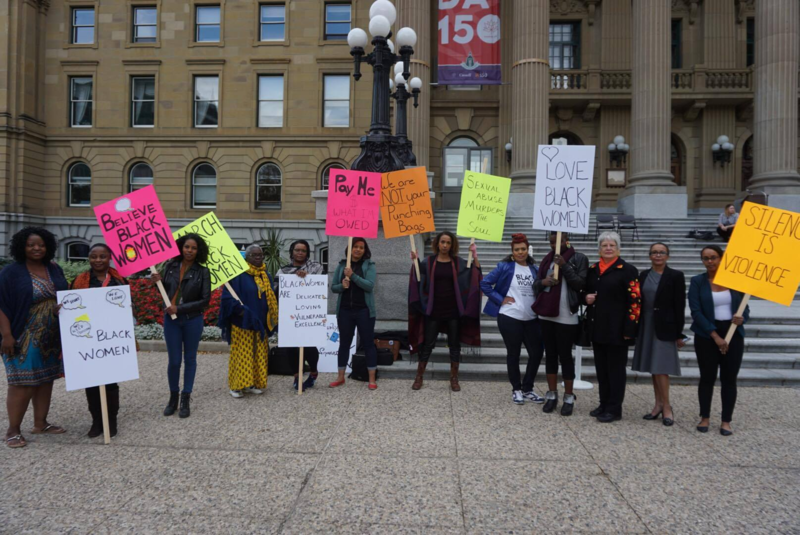 The March for Black Women YEG rally was the first step towards that end and it was a historic one. We came together - for the 1st time - to articulate our own issues and solutions in public.